The Bermuda Captive Conference capitalised on the insurance industry’s biggest annual event in Philadelphia this week to build interest and boost registrations leading towards its September 11–13 event. The Bermuda conference, which was shifted from its regular calendar slot in June to this fall due to the America’s Cup, made a marketing splash at the Risk & Insurance Management Society [RIMS] Annual Conference and Exhibition, garnering new registrations and raising awareness among many of the estimated 10,000 delegates attending the major risk industry event. 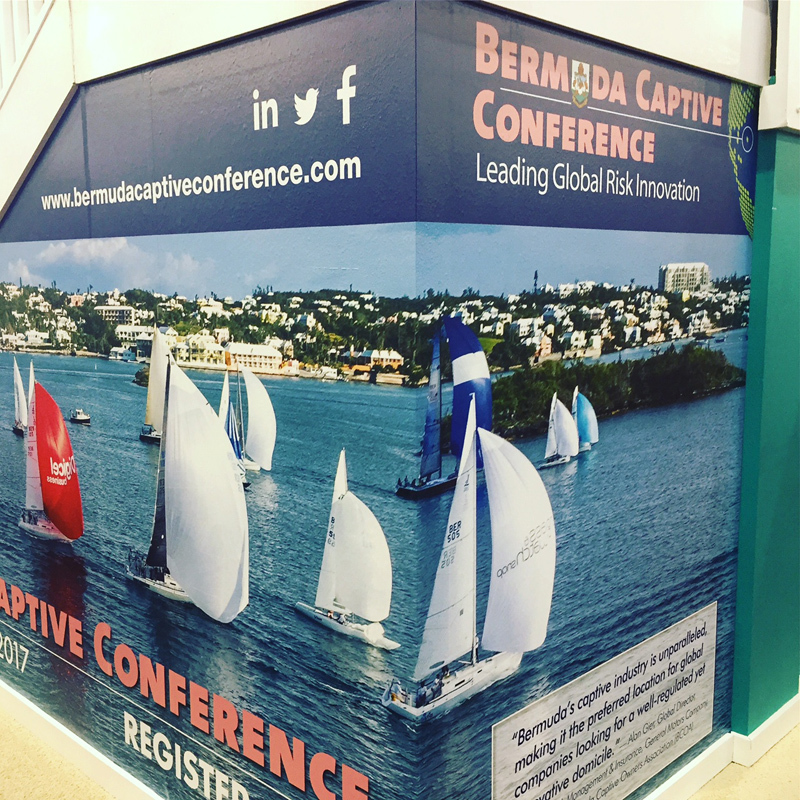 The prominent Bermuda Booth this year sported a colourful photographic wrap depicting boats sailing across Hamilton Harbour complete with bold Bermuda Captive Conference social media and logo branding. The reception, hosted by the Bermuda Business Development Agency [BDA], Bermuda Tourism Authority [BTA], and Gosling’s, was held aboard Moshulu, a restored barque at Penn’s Landing, and welcomed a crowd of 200 invitees. “In a year when we are highlighting the innovation Bermuda brings to the global captive market, we expanded our footprint at RIMS 2017 in conjunction with the BDA,” said conference Chair David Gibbons, who noted the timing was appropriate leading to a May 1 deadline for early-bird flight and registration rates. Last year’s June conference, marking a dozen years the event has been held, saw attendance of more than 800 delegates, of which half were overseas participants. 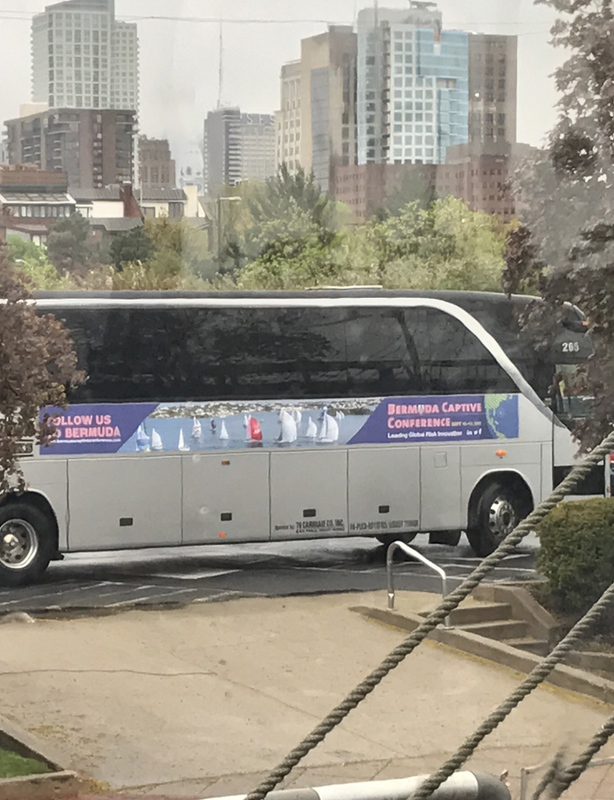 The three-day event at the Fairmont Southampton Resort had more than 50 percent of attendees travelling to Bermuda from the United States, Canada, Latin America, and the United Kingdom. They included 147 captive insurance owners, 70 sponsors, 49 vendors, and the result was a total of 900 hotel-room nights booked during the event’s duration. This year’s keynote speaker will be Bermudian anthropologist Dr Philippe Rouja, Principal Scientist, Marine Heritage and Ocean Human Health, for the Bermuda government. Rouja will give an address titled “A Shipwreck Cornucopia,” detailing the island’s unique shipwreck history. Bermuda remains the world leader in the captive insurance industry based on 2016 statistics released by Bermuda Monetary Authority earlier this year. Year-end BMA figures indicated Bermuda had close to 800 active captive licences on its register, supporting primarily Fortune 500 corporations in the US, and generating over $55 billion in annual gross written premiums. 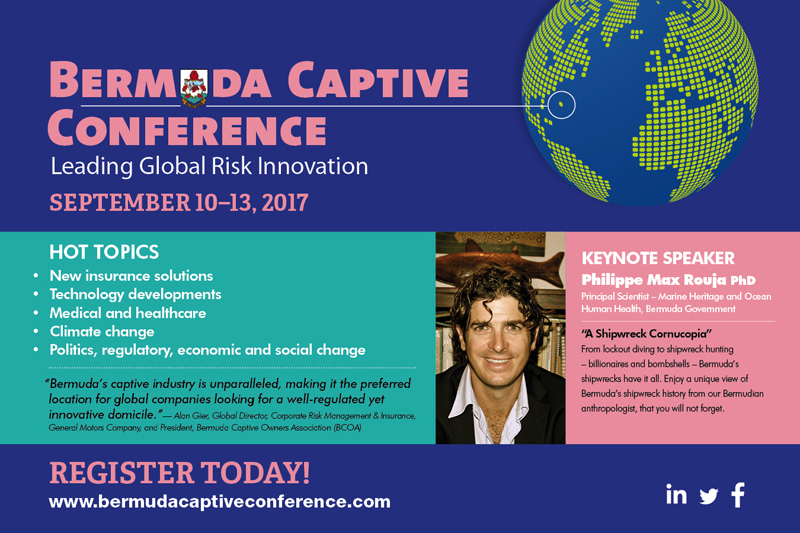 To register for the Bermuda Captive Conference 2017, go here.